330 pages | 1 B/W Illus. Mohammed Hashas’s book points to ways to break away from essentialized and inverted perceptions of Islam and Muslims by focusing on the original thinking of European Muslim thinkers who are providing new theological responses to address the specifics of European Muslims, therefore taking a much needed distance from Middle Eastern and/or salafi religious discourses. His work discusses the specificity of European Islamic thinking and emphasizes the importance of considering it as seriously as we consider thinkers in the Middle East or Asia. 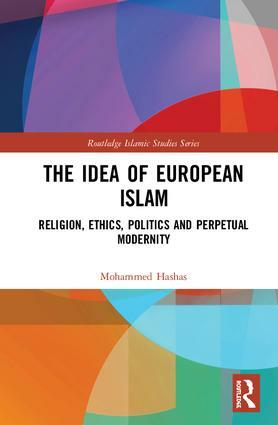 In this meticulous and frequently brilliant study of the ideas, practices and precedents of European Islam, Mohammed Hashas illuminates and engages intellectual landscapes at the intersection of geography, theology, philosophy and politics. This book deserves a wide readership. After the dust settles, and it always does, The Idea of European Islam will remain on bookshelves and syllabi for years to come. In a serious effort to capture the contours and details of European Islam, Mohammed Hashas provides an engaging account of several Muslim thinkers in Europe. He provides a theory to discuss the content of Muslim moral philosophy, theology and politics in conversation with leading thinkers based in Europe and those outside the continent in a search for solutions. Provocative as well as engaging. Anyone interested in one of the most important questions regarding the future of Europe in an age of migration and technological acceleration will find this to be an important book. Mohammed Hashas is a Research Fellow at LUISS Guido Carli University of Rome, Italy.